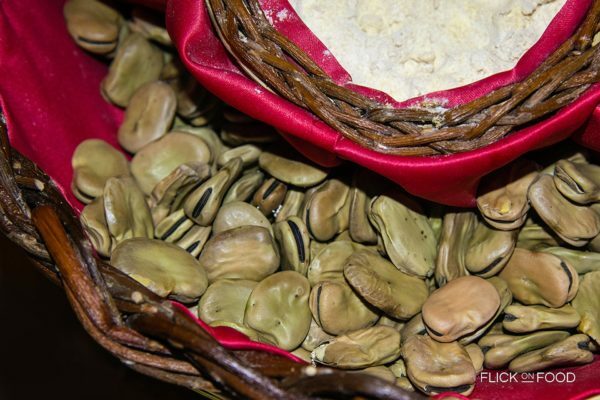 Grate the bean at the last moment in order to maintain its intense, rich fragrance. 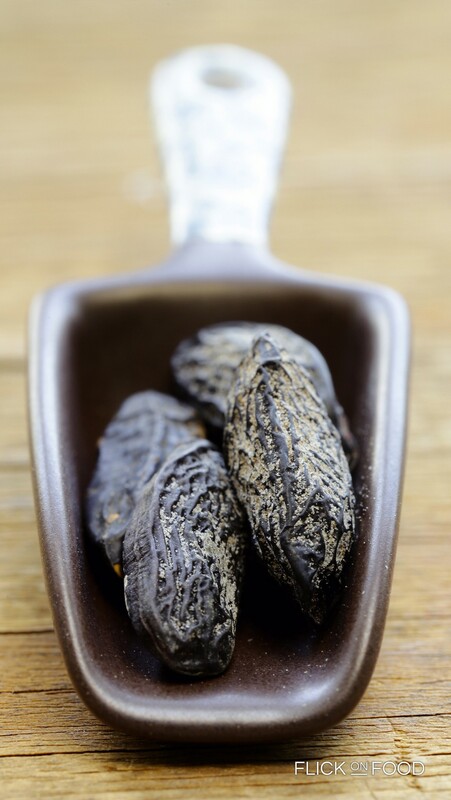 Tonka beans are the seeds from a tree called Dipterix odorata, which is common throughout the Caribbean and South America. Theses brown, wrinkled seeds resemble dates, but their insides are more like a white almond. When grated, they release their characteristic herbal smell similar to sweet grass, with notes of vanilla and honey (this perfumed extract is called coumarin, from ‘cumaru’ the local name for the beans in their home region). 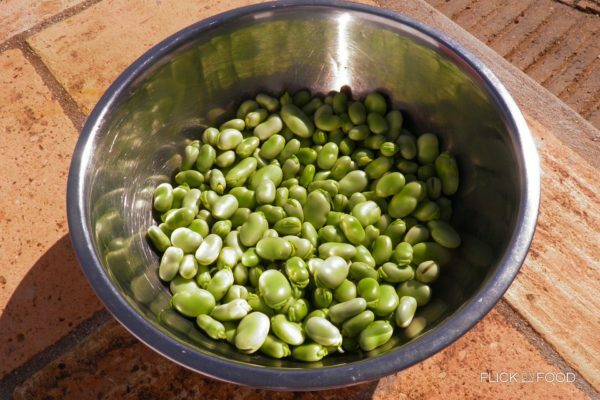 They’re a special ingredient, highly prized by chefs around the world for their unique flavor and fragrance. They are mainly used in perfumes because of their scent, while using them for cooking is relatively recent. Why are they prohibited in the United States? Coumarin can become toxic when used in large quantities, and has sedative and tranquilizing effects. 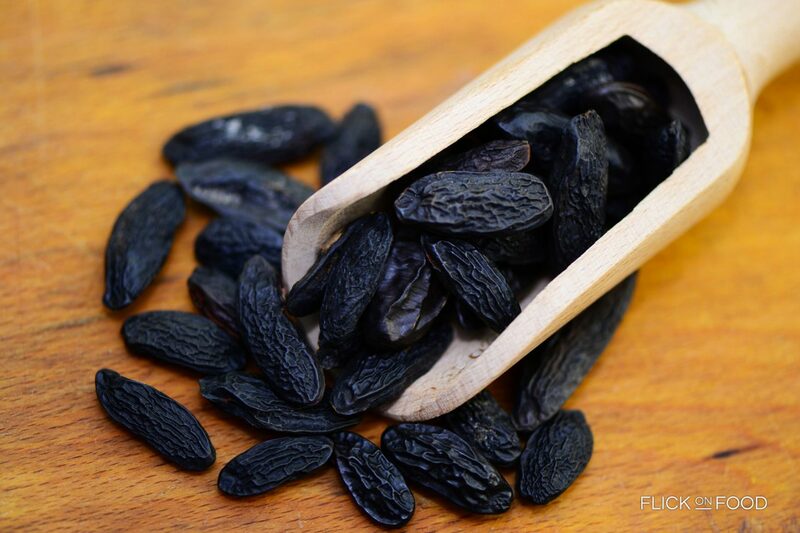 In their native region, Tonka beans are often used by chefs in sweet dishes and sauces. Just like nutmeg, the Tonka bean is crumbled or grated over foods to give them a unique touch. With a sweet but spicy flavor, it translateIs on the palate as almond-like, with hints of caramel. This vanilla-almond flavor makes it great to pair with chocolate, and it’s deal in creams, puddings and ice cream. It’s also perfect when added to pumpkin puree. In South America, their region of origin, they’re considered a good luck charm. In Guyana, an ancient practice uses them in religious devotions, where a person holds a Tonka bean in one hand and a dead snake in the other. In order for a wish to be granted, the seed would then need to be thrown into a stream, and the snake wound around the highest branch of the Tonka bean tree.